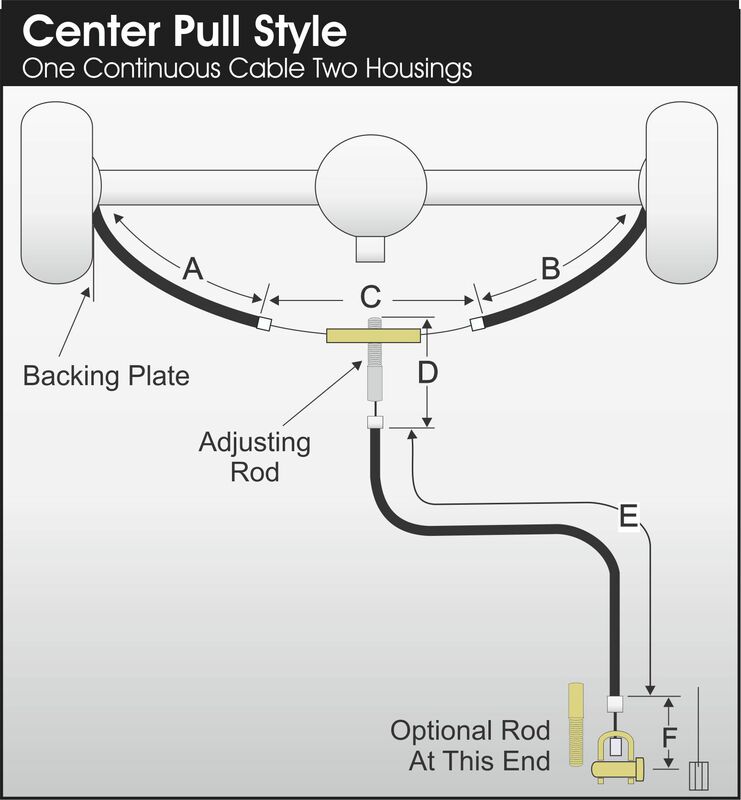 Parking Brake Cables - Made to Fit - Within 3 days of receiving your order! We build all of our street rod brake cables to order and to fit. 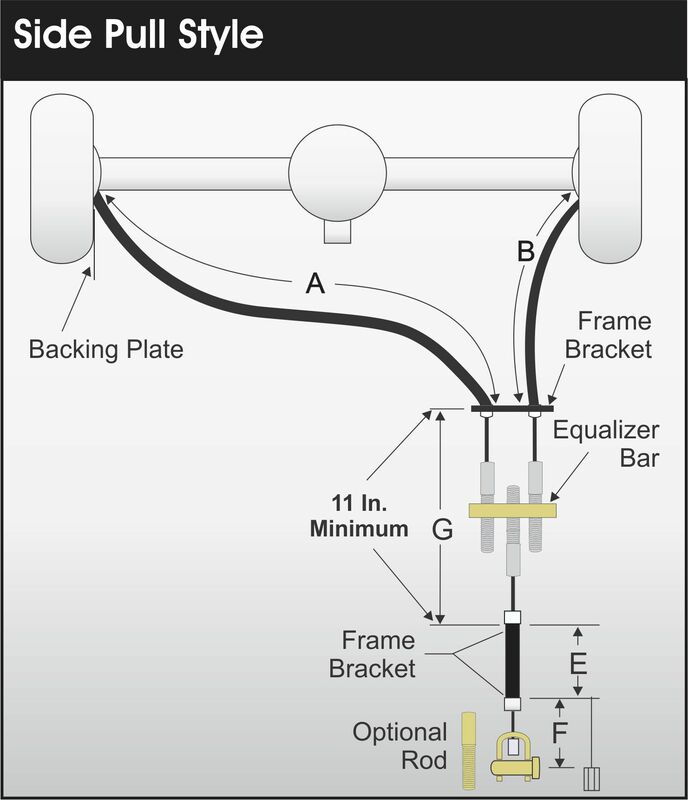 Find your existing parking brake setup below and use our brake layout sheet to find the proper measurements that we will need to make your custom brake cables. 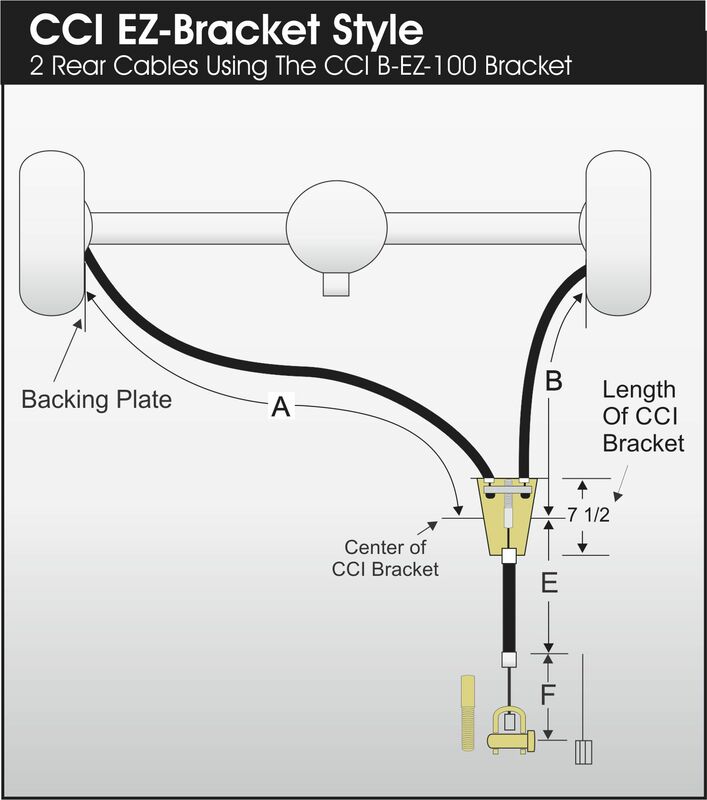 To build custom brake cables we first need to know your current setup.